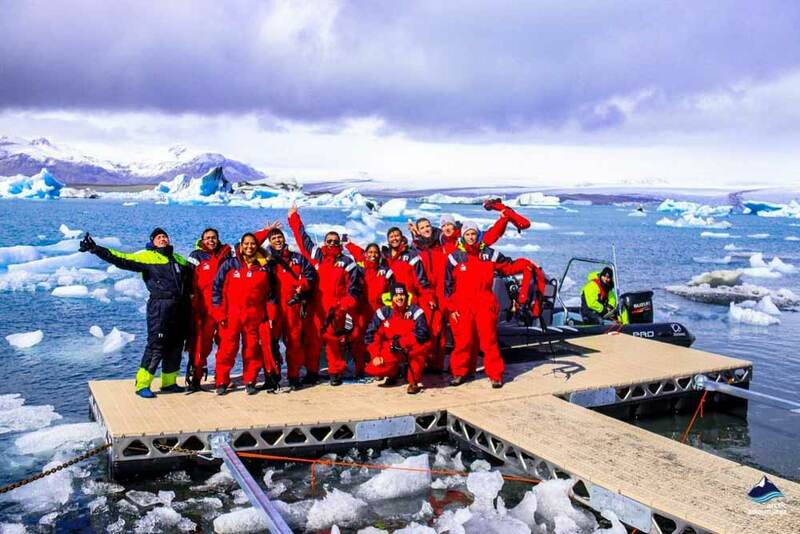 Zodiac raft tour on Jökulsárlón Glacier Lagoon - sensational boat cruise between the giant icebergs that rides all the way up to the glacier! 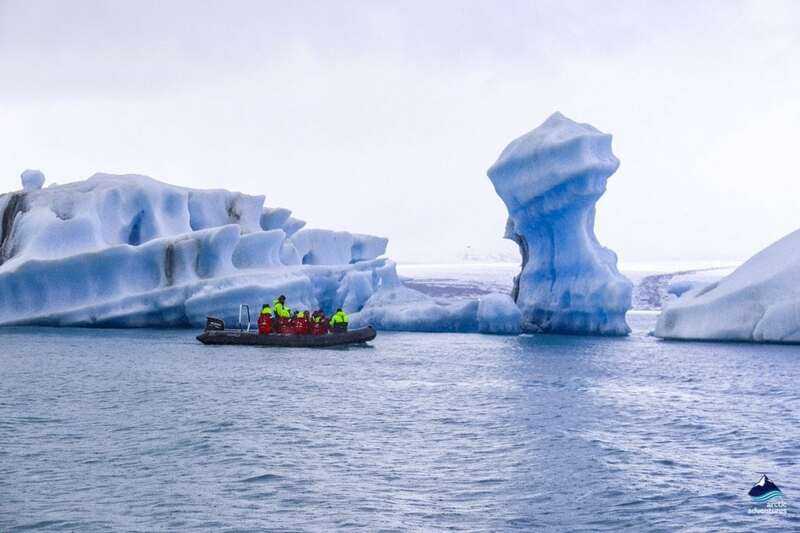 Imagine sailing between majestic icebergs on one of the most famous glacier lagoons in the world. 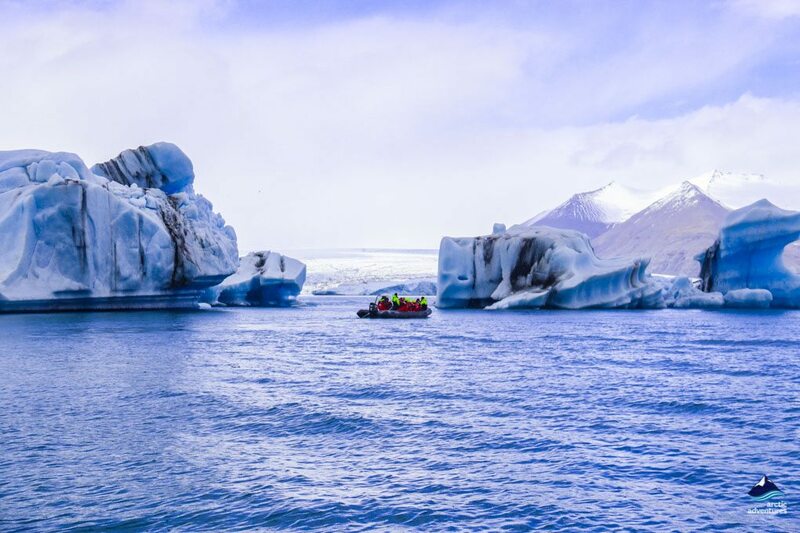 This spellbinding Jökulsárlón boat tour will take you to the secret and quiet places most tourists will never reach. 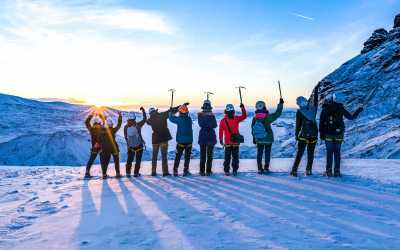 Enjoy incredible peace and spectacular glacial scenery. 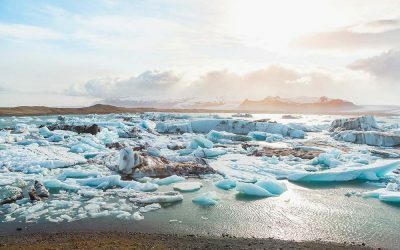 Your friendly guide will meet you at Jökulsárlón Glacier Lagoon parking lot by the big blue pickup truck at least 30 minutes prior to your departure time. 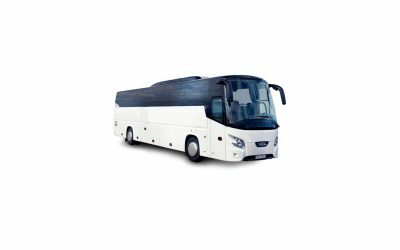 There is a short bus ride to the dock. 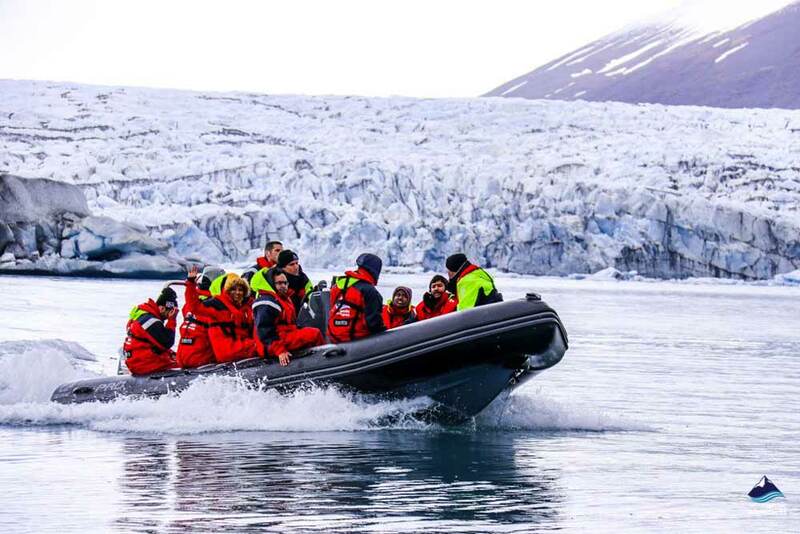 We provide you with a flotation suit / life vest, then you are ready for your incredible Iceland glacier tour which will take you all the way to Breiðamerkurjökull glacier, into the deep serenity of the lagoon. 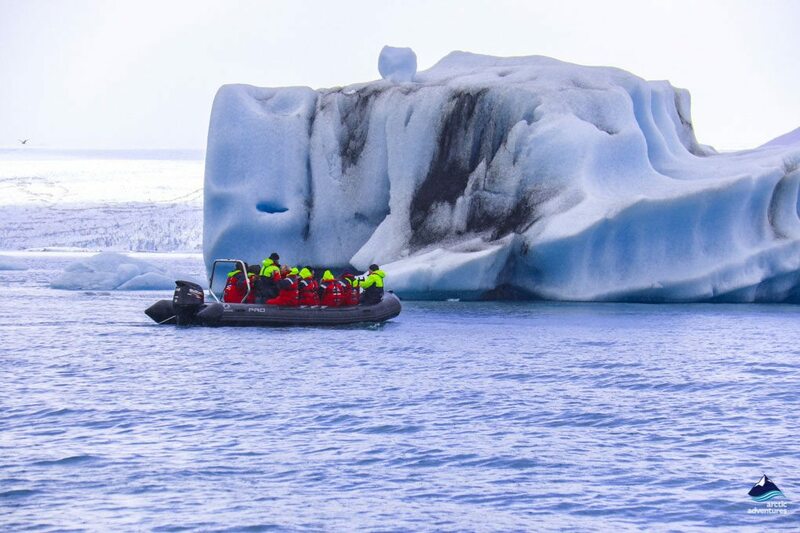 Iceland day tours don’t get any better than this glacier lagoon tour! 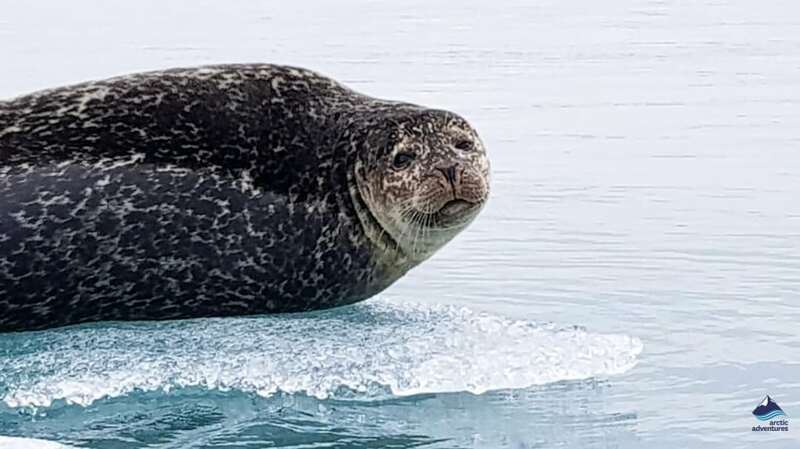 You get a full hour cruising on the lagoon, exploring the majestic sights and seeing the wildlife, seals are quite often seen and there is an abundance of ocean birds. 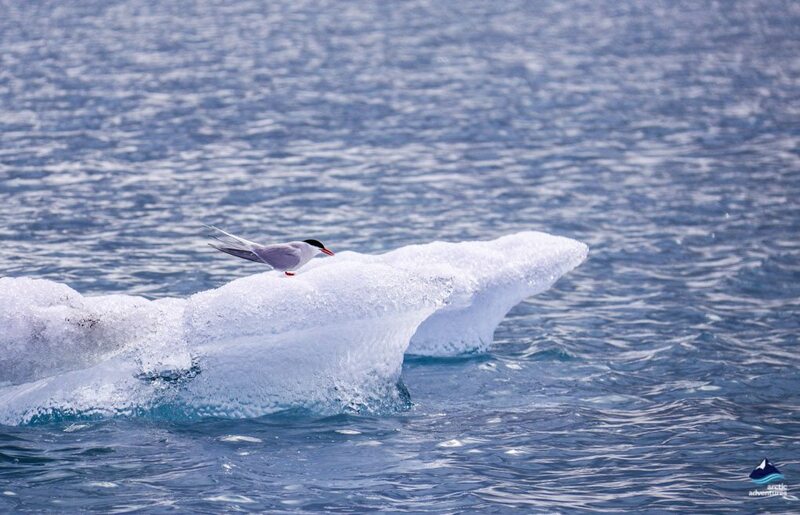 In summer you will see Arctic Terns, when these acrobatic flyers migrate, they literally fly half the circumference of the globe. You will also see big seagulls, majestic Arctic Skuas have their nesting grounds around the edge of the lake. 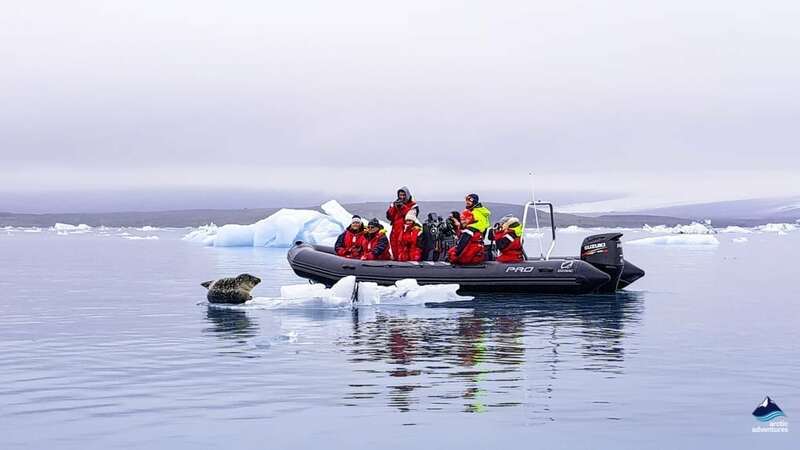 This exciting environment is always changing because the glacier tongue is receding very fast, the perimeter of the ice is quite thick, so, particularly as you cruise closer to the glacier, you will see very large icebergs. 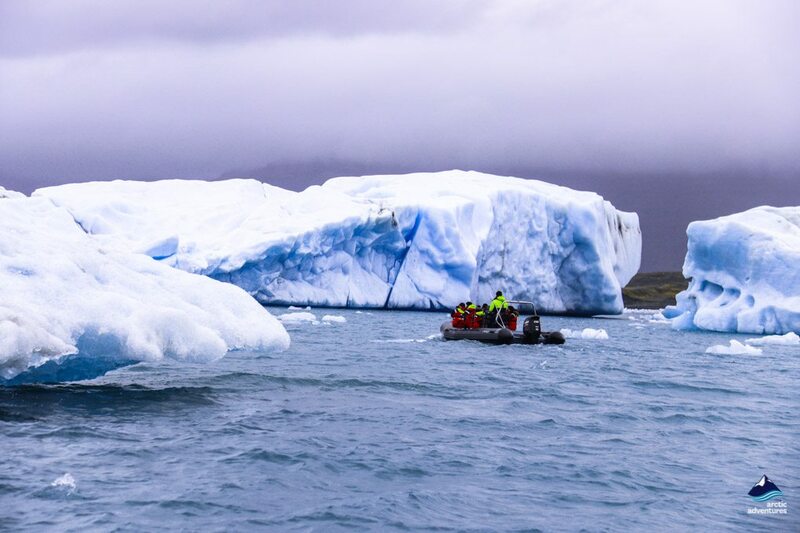 Sailing between these huge amazingly shaped icebergs is a magical and dream-like experience, which photographers and sightseers absolutely adore. 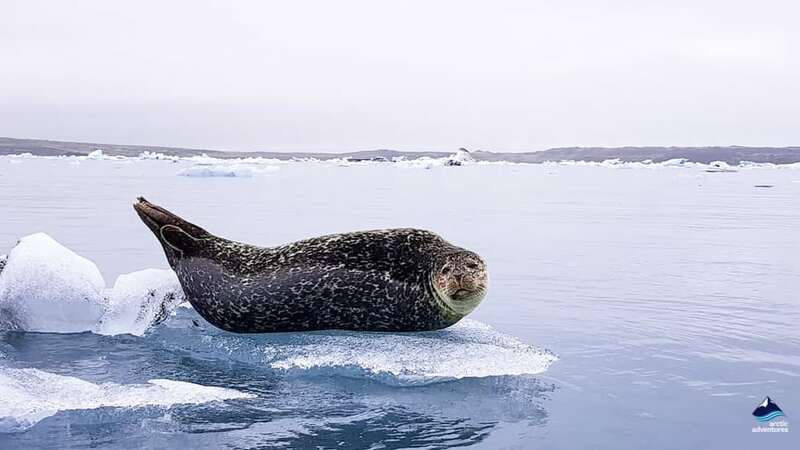 You will see incredibly bright blue-tones in many icebergs, gray streaks, formed from the ash residue of volcanic eruptions slice through some of these imposing ice-statues – this is not quite a pure white world! 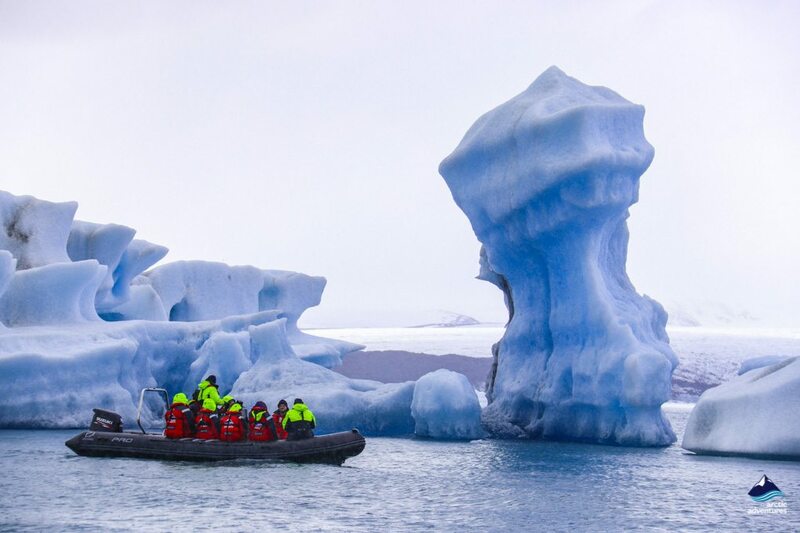 The mirror-like reflections in the water and spellbinding glacial scenery are sure to keep your camera very busy. 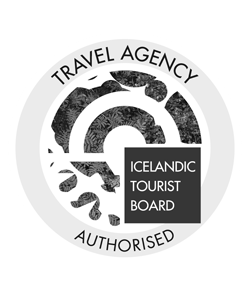 Jökulsárlón is the most famous of Iceland´s few glacial lakes, situated at the southern end of Vatnajökull glacier, around mid-way between Skaftafell National Park and Höfn, a small town which is known as ‘the lobster capital of Iceland’. Before 1934 there was no lagoon, yet, by 1975 it covered 7.9 km2, the lake now extends over an astonishing 18 km2. This natural glacial reservoir has a depth of 284 m, it is the deepest natural lake in Iceland. 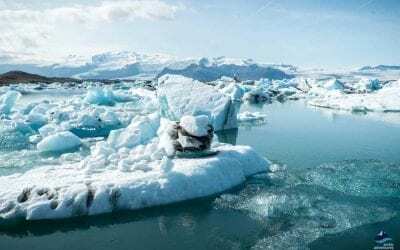 The rapid growth of the lake clearly demonstrates how fast the glaciers of Iceland are melting. A narrow segment of land separates Jökulsárlón Lagoon from the Atlantic Ocean. There may even come a time in the future when this disappears, making the lagoon part of an inlet. 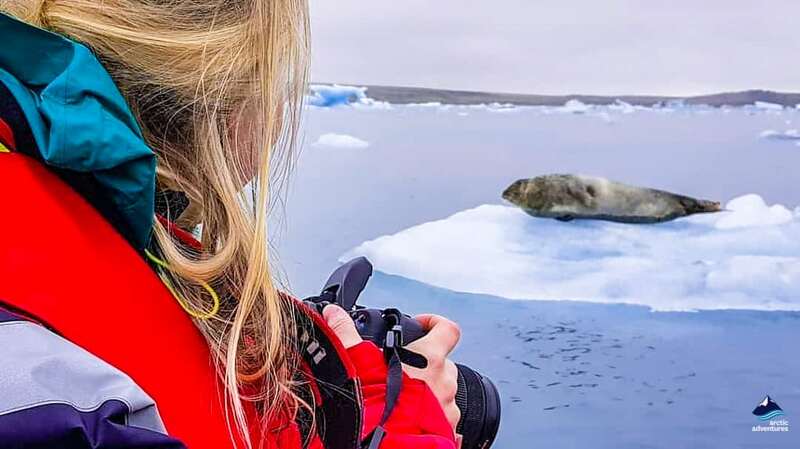 To really get to know the unique atmosphere of Jökulsárlón we recommend you spend a little time exploring the area. 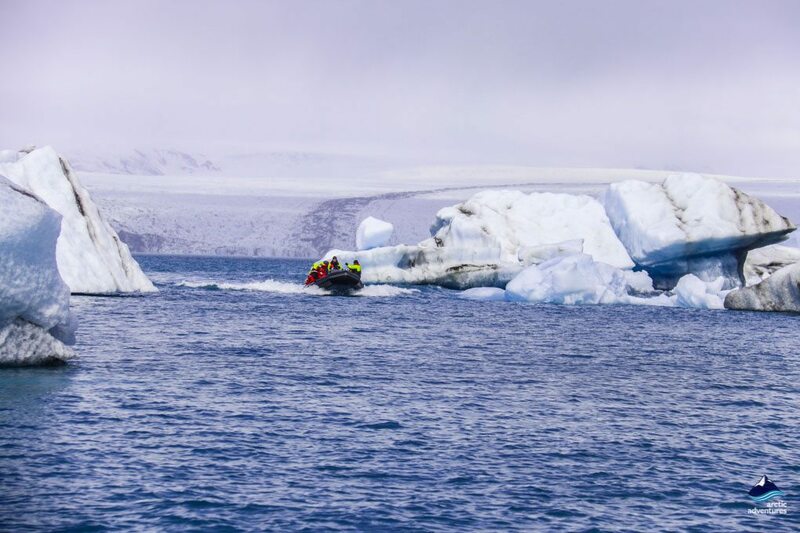 Walk the short distance to the ocean to watch small icebergs floating out to sea – many people describe this as a mystical and hypnotic sight. The official name of this coal-black beach is Breiðamerkursandur, for some time it has been better known as ‘The Diamond Beach’, named in honor of the magnificent icebergs which shimmer like diamonds when they come to rest on the black volcanic sand. The lagoon is beside the Ring Road, buses traveling from the capital to Höfn usually stop there. 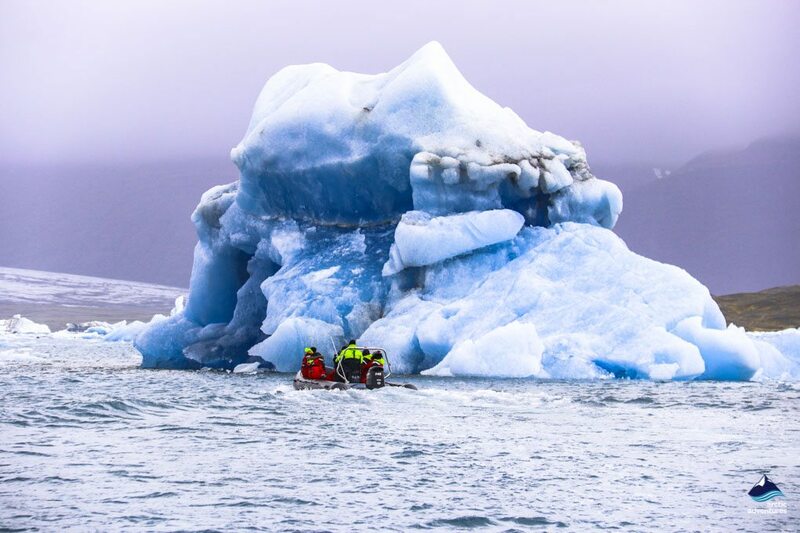 At Arctic Adventures we belief trips to Iceland should deliver something really special – this Jokulsarlon day tour is the jewel in the crown of glacier lagoon in Iceland excursions. 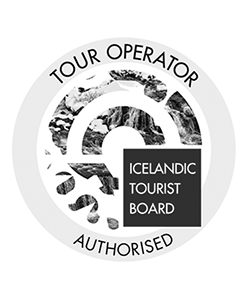 This Jokulsarlon tour operates in the summer, other spectacular Iceland tours operate from Jökulsárlón and Vatnajökull National Park during the winter months. 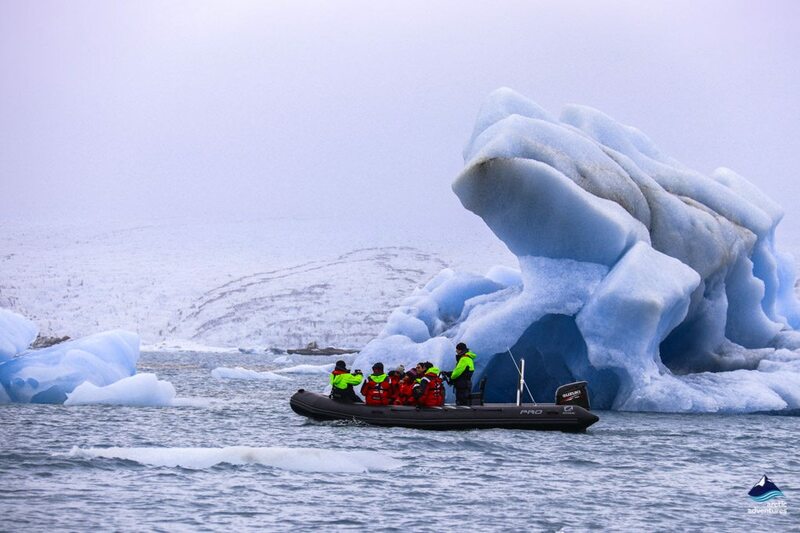 Iceland winter tours from the lagoon include the Crystal Ice Cave. 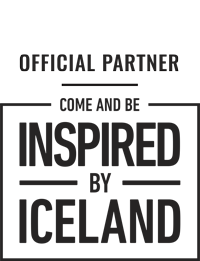 What to bring: Warm layers, waterproof top layer, headwear, gloves, scarves and sturdy shoes. 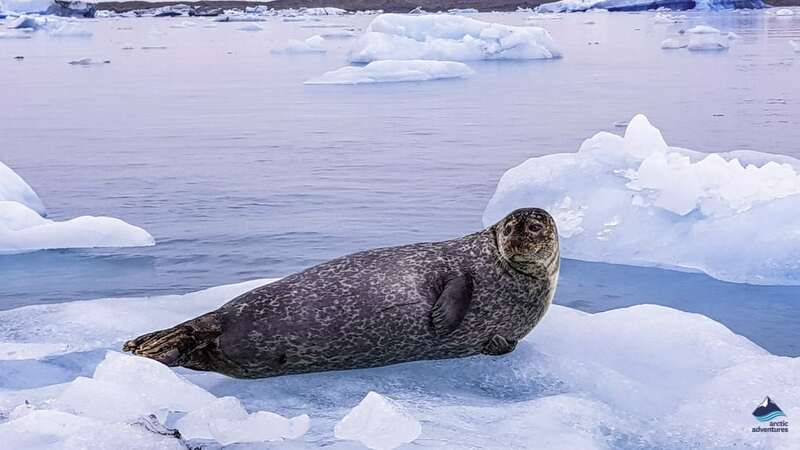 Explore the greatest highlights of the South coast such as Reynisdrangar ocean cliffs, Jökulsárlón Glacier Lagoon, sensational waterfalls and far more. 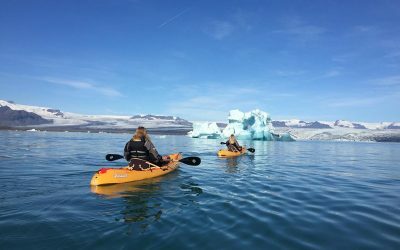 Glacier kayaking is a great way to experience the famous Vatnajökull National Park. 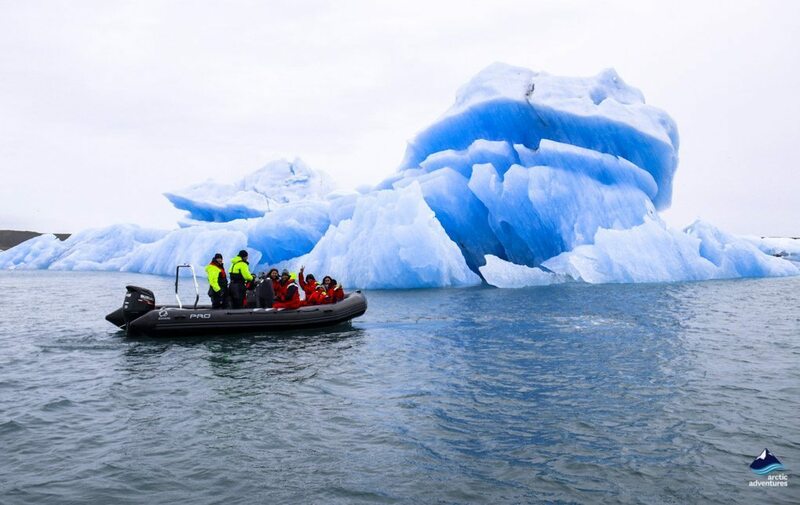 This unforgettable tour will give you a panoramic view of the mountains and glaciers surrounding the lagoon. 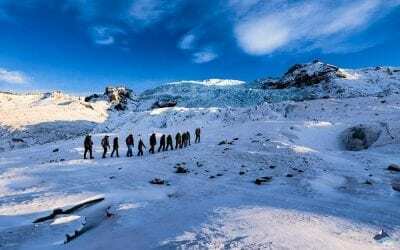 Day tour from Reykjavik to Vatnajokull National Park with stops at all the South Coast highlights and optional boat ride at the glacier lagoon. 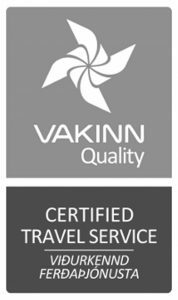 Budget-friendly transport from Keflavik International Airport (KEF) to Reykjavik - To designated bus stops, selected hotels, hostels & guesthouses in Reykjavík.